Dr. Michael E. DeBakey had a long and distinguished career exemplified by his surgical and technological innovations, institution-building, and medical policymaking. He was legendary for his intelligence and surgical skills, and for his discipline, energy, and self-confidence. Dr. DeBakey was also well-known for his high professional standards and his desire to improve medical education and health care. But how did Dr. DeBakey generate his ideas, and what aspects of his family circumstances and personality supported his extraordinary success? Over the summer, I reviewed the contents of the Michael E. DeBakey Archives at the National Library of Medicine. I examined Dr. DeBakey’s diaries, communications with fellow surgeons and engineers, presentations (oral transcripts, film, and video), and publications (scientific journals, books, and lay publications) to better understand the influence he had on our everyday lives and the medical device industry. Throughout his nearly 100 years, Dr. DeBakey was a self-confident innovator with a broad vision. His confidence and vision appeared to grow from a range of experiences, including his childhood in a close and supportive family, the mentoring he received during his medical training, and his military service during World War II. He had a very disciplined working style which could also be traced to his early experiences. Dr. DeBakey displayed many of the same personality traits as his father: intelligent, strict, disciplined, precise, early riser, politically savvy, visionary, social, demanding, and professionally successful. His father also had an avid desire for reading, writing, and a love for libraries. He acquired many additional traits from his mother: intelligent, caring, compassionate, spiritual, nurturing, protective, and demanding. He learned charity from his mother during their trips to the orphanage, which certainly set the stage for his ultimate gift to thousands of patients later in life as Michael became a master surgeon. Both of his parents stressed honesty, self-respect, integrity, probity, compassion, personal independence, and courtesy. In a 1972 interview, Dr. DeBakey attributed much of his success to his genetics. Dr. DeBakey had little tolerance for those unable to conceptualize, to think in the abstract about new solutions to problems whether it be in surgery, government policy or other matters of life. Dr. DeBakey was a risk taker, which enabled him to push the boundaries of innovative ideas he considered. He was a rule breaker, but he always had an ethical approach and was a strong believer in protecting the rights, safety, and welfare of his patients. Dr. DeBakey fed his ability to invent by reading widely in and outside the field of medicine and retaining the information that he read. 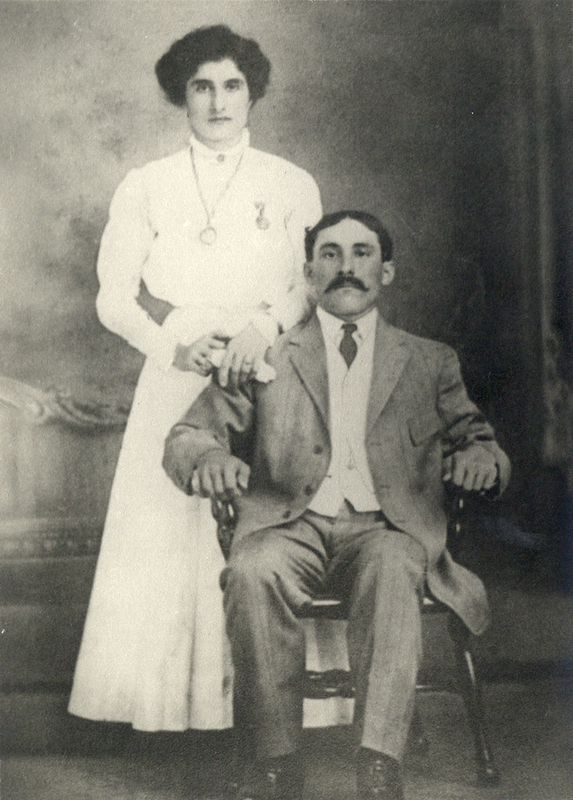 His knowledge, attention to detail, and ability to conceptualize allowed him to conceive innovative ideas and improvements in surgical procedures, techniques, and technology. Dr. DeBakey made time to create. His lifelong habit of limiting the number of hours he slept created time to think and dream of novel ideas. He equated sleep with death and strived to minimize wasted time sleeping just as his father had done when he was a child. He kept a rigid routine and controlled his schedule to accomplish exactly what he thought was important on any given day. He was driven to assimilate and synthesize his observations to create something better in everything he touched. 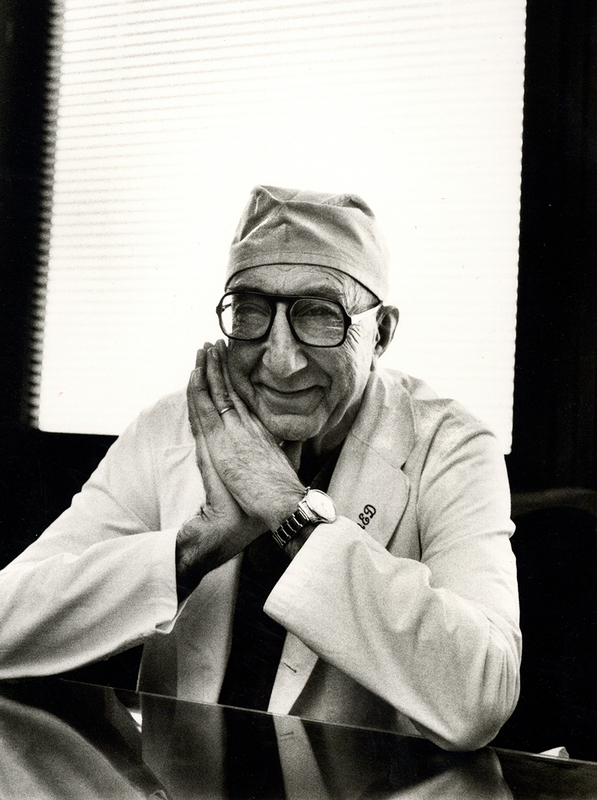 Dr. DeBakey was criticized as “curt and aloof” and a “stern taskmaster”. Perhaps his time in Europe training under Dr. Kirschner in Germany taught him to demand discipline in the operating room. Perhaps his experience in the military taught him to establish a hierarchy in the hospital and a chain of command. Dr. DeBakey was known to aspire to excellence, and attributed attention to detail as the hallmark of professionalism. While Dr. DeBakey could be tough to work under, his trainees expressed admiration for his accomplishments. They had high respect for him and his overall contributions to surgery, his contributions to building the Texas Medical Center, and his success as a statesman. 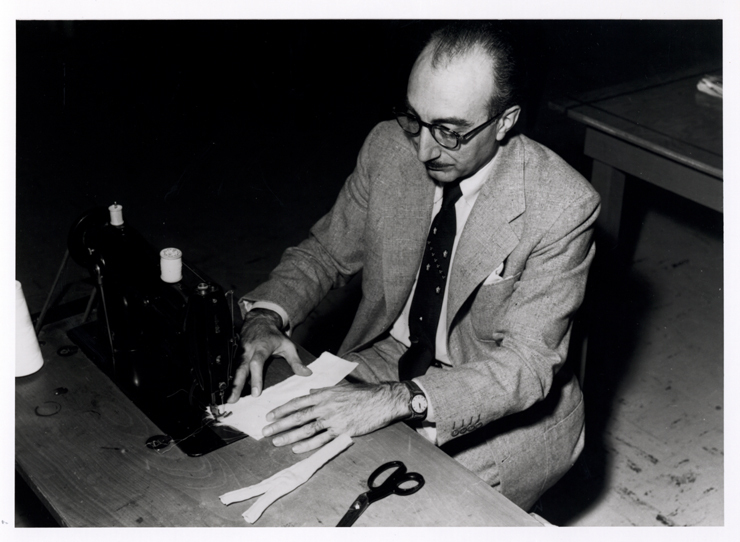 Dr. DeBakey took pride in his hands. He often said that being a great surgeon required being an excellent athlete. He felt that playing a musical instrument helped him prepare his hands for surgery, such as learning to finger the keys on a saxophone, clarinet, and piano. Dr. DeBakey took pride in being “hands-on” when it came to work in the lab or performing autopsies with his residents to help them learn. This trait of being ‘hands-on’ gave him insight and power in his own mind so that he could visualize solutions to problems and reduce them to practice. Michael DeBakey loved sewing and sewed his way into history with his agile hands and sharp mind. Dr. DeBakey not only invented novel medical technology, he invented policies and new organizations to help improve healthcare. Dr. DeBakey actively engaged himself in government policy to expand access to medical care to the underserved. He was organized and effective in managing the world around him, whether it be his surgical practice, changing the healthcare system, or building one of the most internationally recognized hospital systems in world in Houston. One thing that appeared to differentiate Dr. DeBakey from his contemporaries was his ability to influence governmental diplomats and promote change through the political system. He persuaded others to enact his vision of care for patients worldwide through his political and intellectual savvy. In 1956, Congress created the National Library of Medicine by transferring the Armed Forces Medical Library from the Defense Department to the Department of Health, Education, and Welfare. DeBakey’s persistence and political savvy helped authorize the library to be in Bethesda, Maryland where it stands today. DeBakey served for many years on the NLM Board of Regents. The inscription on the Congressional Gold Medal that Dr. DeBakey received includes a quote from him: “The pursuit of excellence has been the objective of my life.” Dr. DeBakey performed over 60,000 surgeries and published over 1700 articles. He will long be remembered as a masterful surgeon, an innovator, a scholar, and by many, as the century’s most influential international and national medical statesman. Kurt A. Dasse, PhD, is President and CEO of Inspired Therapeutics and Professor CT and Cardiovasuclar Surgery, University of Louisville Medical School. He was a Michael E. DeBakey Fellow in the History of Medicine at the NLM in 2017. We are very proud and honored to have known Dr. Debakey and his family, but was wondering why it was not mentioned that his parents came from the town of Marjaoun Lebanon, he even visited the house in his later years, and gives credit to his roots and the way he was brought up , I think some of the credit, that made him a legendary man, should go to the Lebanese parents.